If you want some help in teaching your child to read at home, consider using one of the excellent online reading programs now available. Most kids love to play games on the computer or other electronic devices and my children are no exception. One of my parental objectives seems to have become limiting their time in front of a screen, or ensuring it is put to a good, educational use. One example of computer games which I do not mind my children playing are those which help them learn to read. The enticing format of the best online reading programs mean that children learn to read without even noticing it. The fun and engaging activities help your child to remain motivated for longer and so learn more. There are some free online reading programs available, but if you are looking for a program for your child to follow regularly - perhaps daily or several times a week, with progress monitoring and content tailored to your child, it is worth considering one of the fee-paying on-line reading programs. 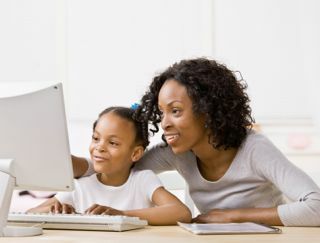 Computer reading programs generally require little parental involvement, which might appeal if you think your child would not respond so well to you as the teacher. However, it is worth remaining close to your child while they are following the program, to clarify the instructions for particular exercises or check that your child speaks words aloud correctly when asked to. Most of the online reading programs suggest regular use of their programs, perhaps for 20 minutes a day or every other day, in order to get the best results. 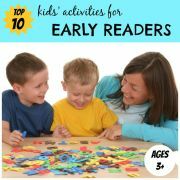 It is also a good idea to supplement the program with other reading activities which are not based on the computer, such as listening to your child read easy reader beginner books. You should also encourage your child to practice writing words which they are starting to read, since the online reading programs do not generally provide any handwriting practice. Does the program offer to test your child before they start to ensure they begin at the right reading level, or does your child have to start from the beginning of the program regardless of their reading level? Does your child work systematically through all the lessons, or does the program automatically adapt the next lesson presented to your child, based on their previous progress? Does the program provide you with an ongoing assessment of your child's progress? Is there an incentive program to help motivate your child to continue using the program? Does the program offer a free trial so that you can see if your child likes it before buying? Are the lessons spoken in a US or UK accent? Currently all the programs listed below feature a US accent apart from the Reading Eggs program, which features a UK accent. Below you can find more details about some of the most popular online reading programs. These programs all focus on teaching 4 to 8 year olds how to read using phonics. The Reading Eggs online reading program teaches your child to read using a combination of animation, activities and reward games to keep them motivated. My son loved this program and was always begging me to let him use it! The online reading program from Reading Eggs consists of 120 animated lessons organised into 3 stages, with 40 lessons in each stage. In the first stage, your child learns the sounds and names of the alphabet letters and starts to read simple three letter words and their first sight words. The second stage focuses on short vowel words such as cat, dog, ten, fish and duck and on building reading skills. They learn many more high frequency sight words and build word families. The third stage introduces long vowel words such as cake, kite, rain, cook, seat and cute. 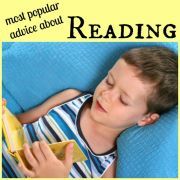 There is an increased focus on reading for meaning, comprehension and understanding longer words and sentences. Each lesson ends with reading a book online. The book only contains words which your child has already learnt in the program. 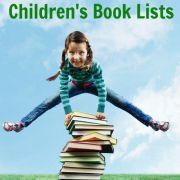 Some of these books will be nonfiction titles with a focus on building vocabulary. Your child is also rewarded with a special Golden Egg from which a collectable ‘pet’ then hatches. When your child starts the program, they can complete a placement quiz to ensure they start at the correct reading level. They then move forwards from this point. After 10 lessons, children complete a Mastery Quiz which provides you with a report about their learning. 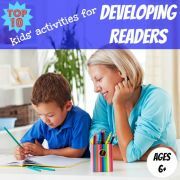 As well as the online lessons, the program offers, at an additional cost, book packs with real books to be read at home, progress posters and stickers and writing activities to complete in the Reading Eggs Activity Books. You can buy a 6 month, 1 year or 2 year subscription or you can sign up for a FREE trial first to see how your child likes it. Reading Eggs also has a website for 7-12 year olds called Reading Eggspress which is designed to take your child’s English and reading skills to the next level with hundreds of hours of motivating learning activities. Looney Tunes ClickN READ Phonics is an online reading program which uses interactive cartoon lessons, games and activities to teach your child letter sounds, word blending, spelling and reading skills. An onscreen instructor (with a normal, human, American voice) takes your child through each lesson. Each of the 100 interactive lessons consists of six to 14 activities for completion in a 15-to-30-minute session. A lesson starts by introducing a particular phonics sound to your child and demonstrating how the sound can be incorporated into the beginning, middle and ending of words. Then your child practices blending this sound into words. New words are introduced using the new sound to build your child's ability to read complete English sentences and short stories with ease. Progressively over the lessons the following exercises are presented: Sight Words, Spelling Sight Words, Word families, Word Endings, Silent E Rule, Spelling Silent E Words, Making Sentences, Sentence Dictation, Prefixes and Suffixes. Finally all sounds and words previously taught are reviewed and practiced with time constraints to help build the automatic decoding skills needed to learn to read. You can find an overview of the program here. If your child answers a question incorrectly multiple times, the program re-teaches the learning points until the correct response is given, rather than giving away the correct answer. At the end of each lesson, a lesson report is displayed showing exactly how your child performed in that lesson. You can also get a cumulative results report which shows your child's performance on each lesson alongside the average percentage for all users that have ever used ClickN READ Phonics. This shows you at a glance which lessons your child should repeat. To purchase Looney Tunes Phonics you can buy either an annual subscription or a lifetime subscription. Headsprout was founded in June 1999 in the US. 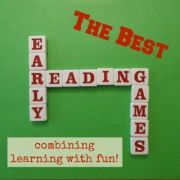 The Headsprout Early Reading program is divided into 80 interactive, animated lessons, each averaging 20 minutes. The program also includes 80 books to print out at home and 12 colour Headsprout Readers featuring engaging stories and characters. You also receive printable sound and word flash cards, a sticker system to enable your child to track their progress and individualized, detailed progress reports. This online reading program attempts to simplify things for beginner readers by first introducing very consistent letters and sounds, such as 'ee', 'v', 'cl' and 'an', which are read the same way in the majority of their occurrences. Letters such as 'a' which can be pronounced in many different ways depending on the word (think of map, cake, boat, head, said, salt, eat) are taught with other letters around them thus producing a more stable sound. This increases the probability that they will be read correctly. The first 40 lessons focus on such stable sounds. 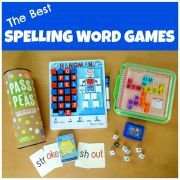 The remaining 40 lessons introduce less stable sounds and also cover the long and short vowels, word families, and other frequently confused letter combinations. Your child begins with the first lesson and works sequentially through subsequent lessons, although the software will automatically repeat a lesson if your child does not complete is successfully. The cost of the program includes unlimited access with no time limit. You can find the current rates here. Headsprout also offers an online Reading Comprehension program for over sevens which provides engaging instruction in how to read for meaning and how to apply these skills across subject areas and on standardized tests. Study Dog was founded in 2002 and has been used for a number of years in many schools across the US. In October 2011 they launched a home edition of their online reading program, which uses fun games and exercises to teach children to read using phonics. A comprehensive pretest determines the reading level of your child thereby ensuring that the lessons start at the appropriate level. The program performs a continuous evaluation of your child's progress so that, as they move through each level, they receive tailored lessons suited to their particular aptitude. Constant updates on the child's progress are provided so that you can keep track of their improvement. Your child is encouraged to take a maximum of one new lesson per day for two or three days a week. They are then encouraged to repeat that lesson three times, earning points for the first 3 retakes. Parents can then reward points earned in whatever way they wish. You can subscribe a month at a time or for longer periods, as explained here. Originally launched in the US in a popular workbook format, Explode the Code now also offers an online reading program. The program uses various activities to practice each skill such as matching pictures with the sounds given, matching words with pictures, choosing letters to spell a word or matching a sentence with a picture. A rewards system keeps your child excited about progressing through the program. The program records correct and incorrect responses, response patterns, and completion times. It also automatically adjusts the lessons presented, so that your child can focus on their greatest areas of need. You can buy a 12 month subscription for your child here.